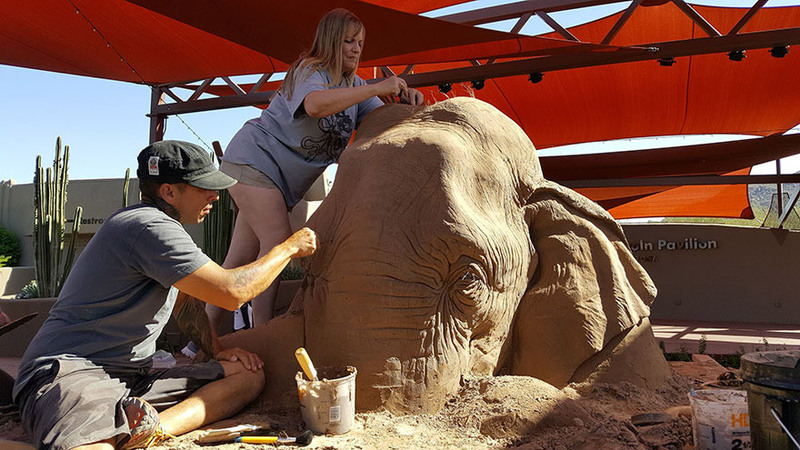 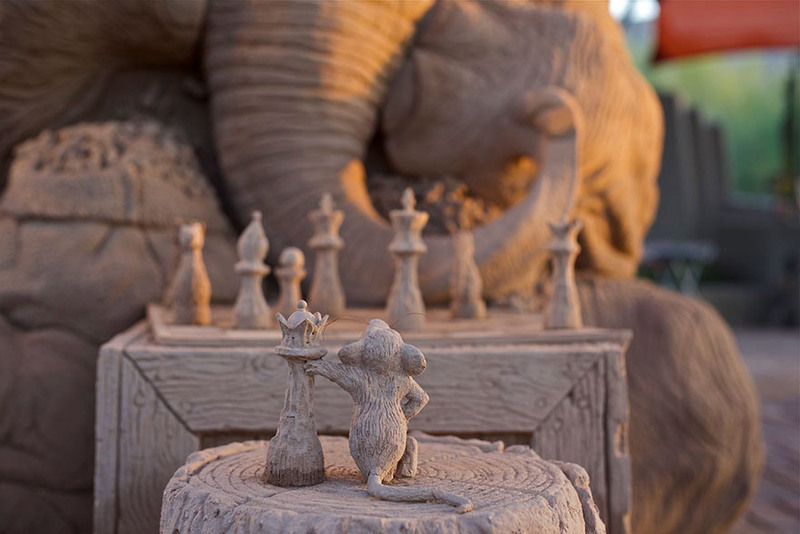 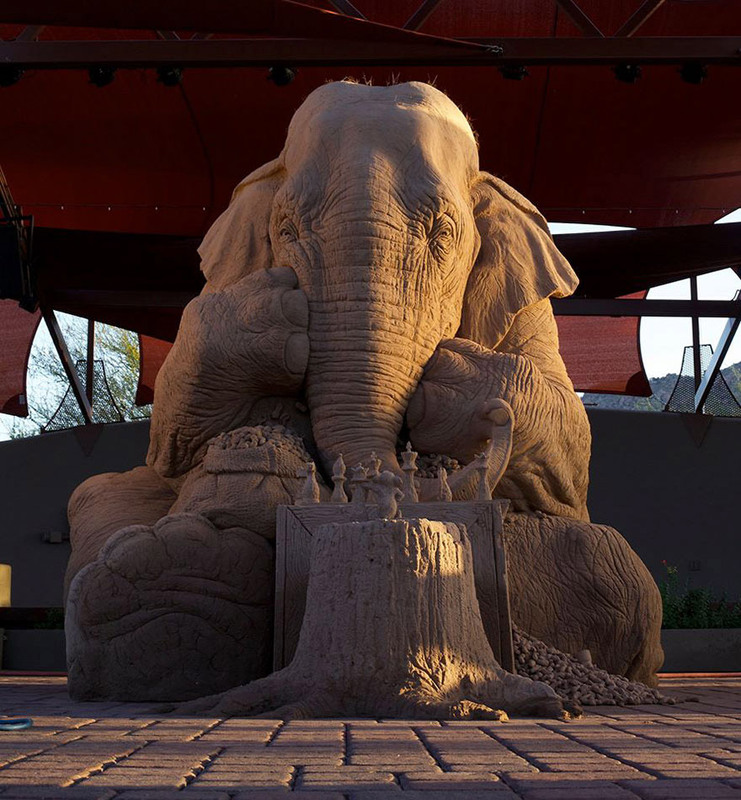 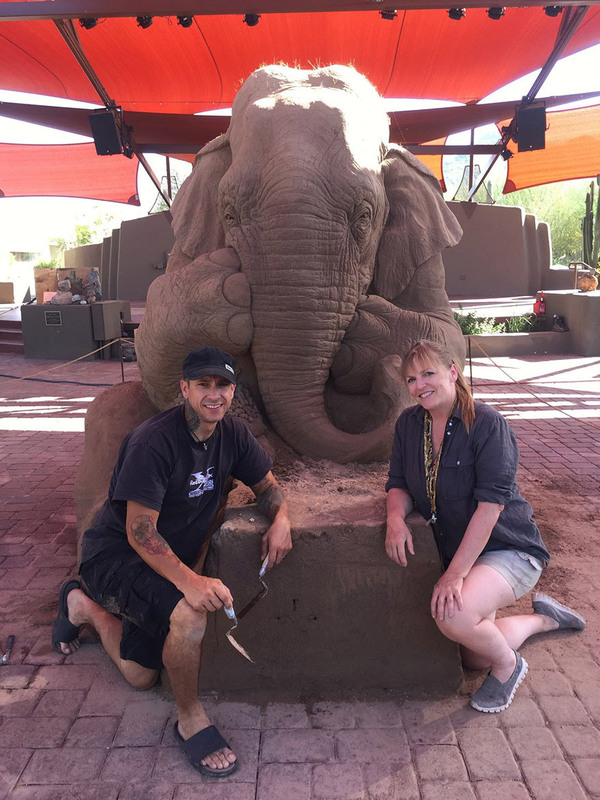 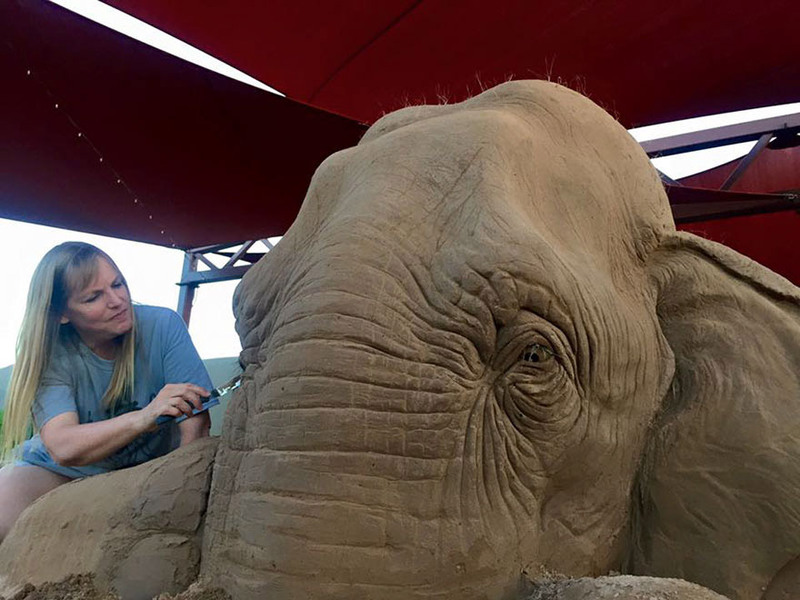 Artists Ray Villafane and Sue Beatrice create an incredibly detailed, life-size sand sculpture of an elephant playing chess with a field mouse. 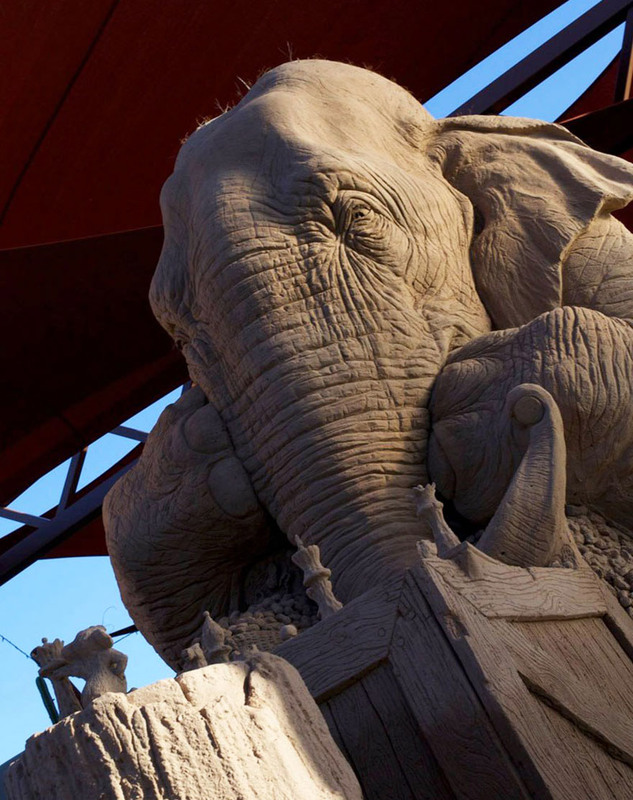 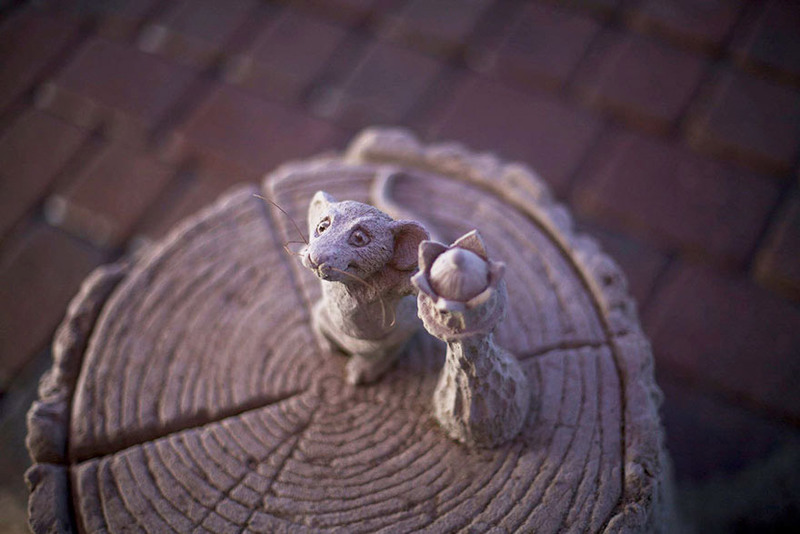 FYI: the elephant’s name is Chessie Trunkston and the mouse is Hershel Higginbottom. 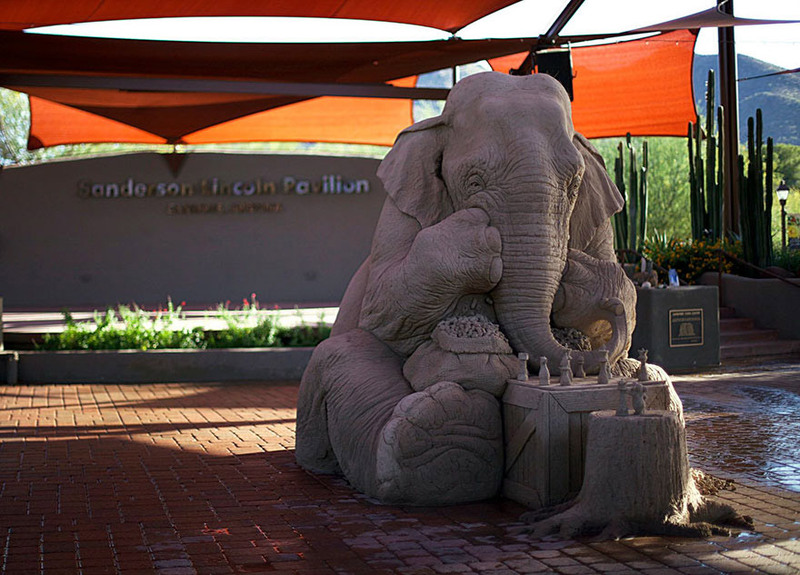 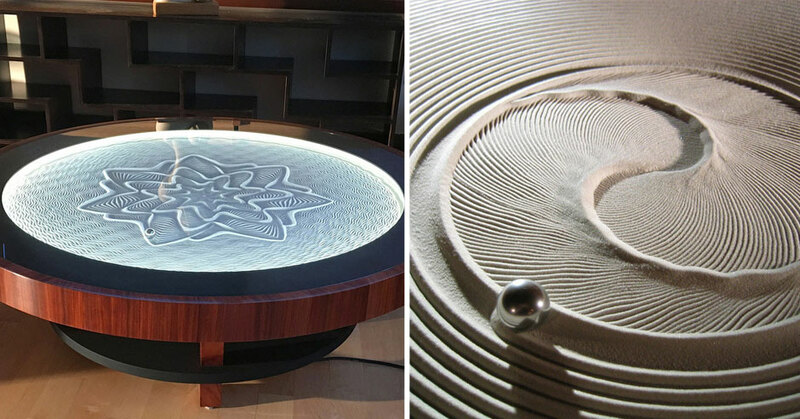 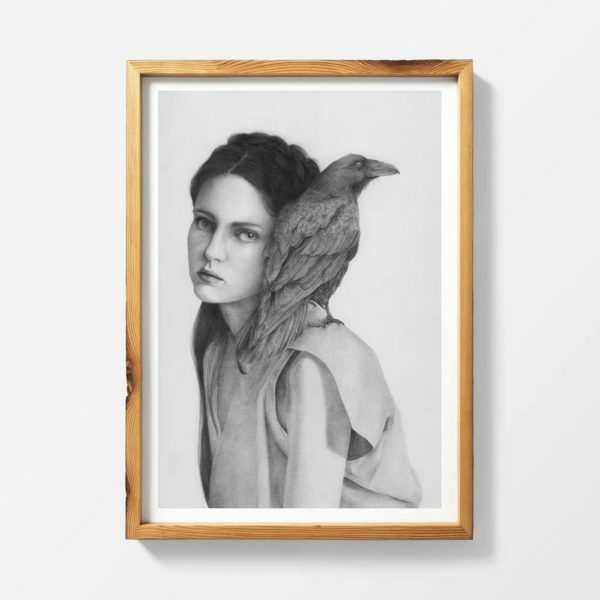 See more images below or on display at the Sanderson Lincoln Pavillion in Carefree, Arizona until August!